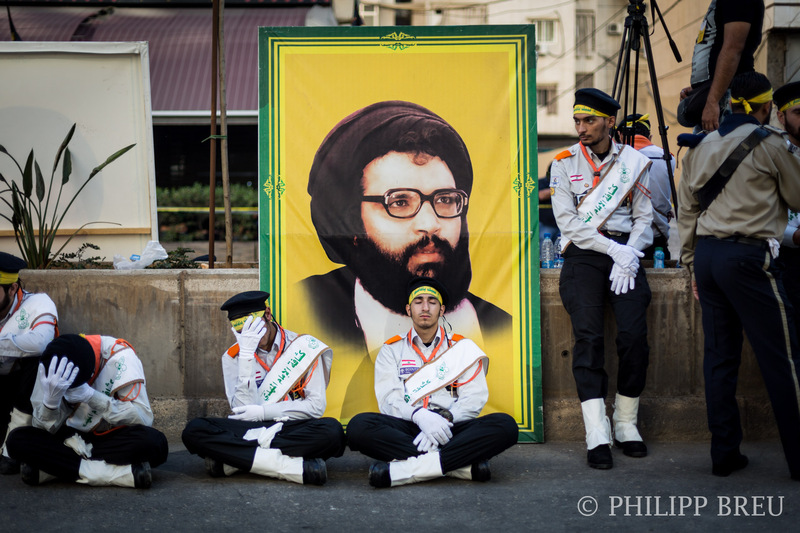 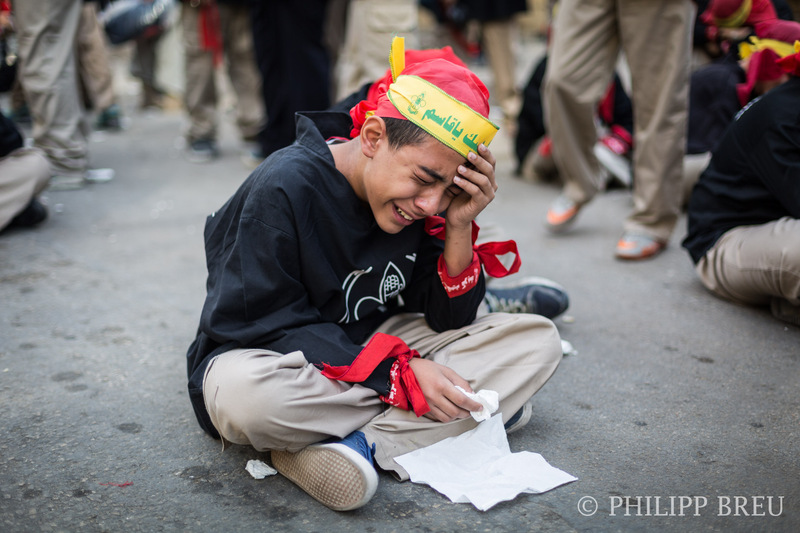 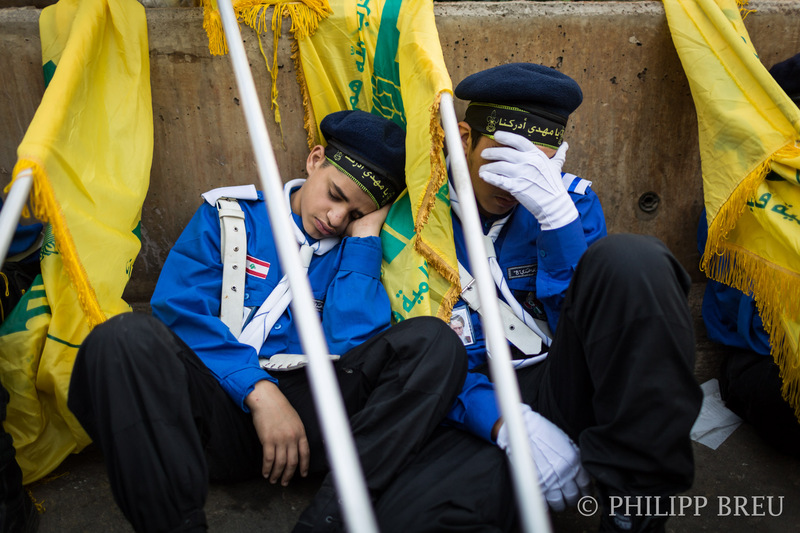 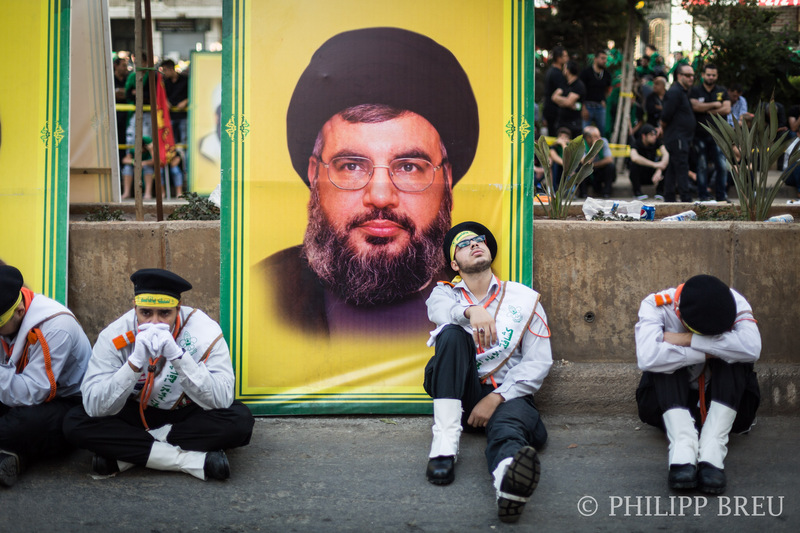 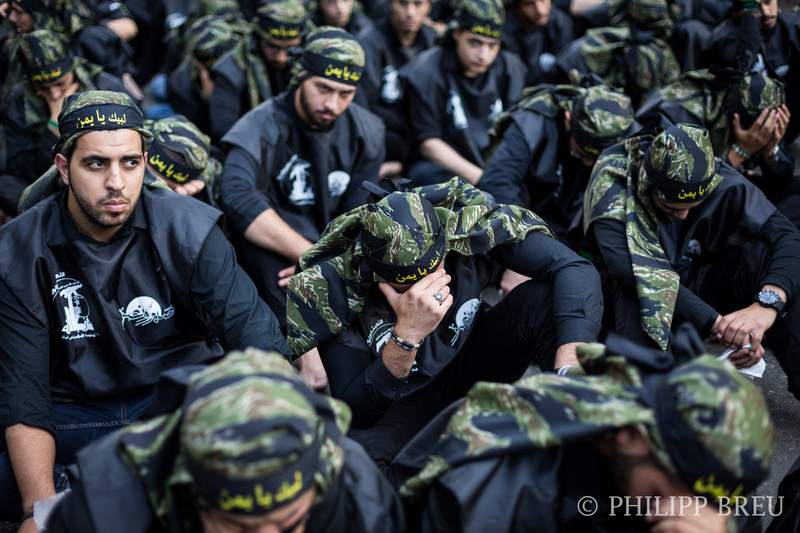 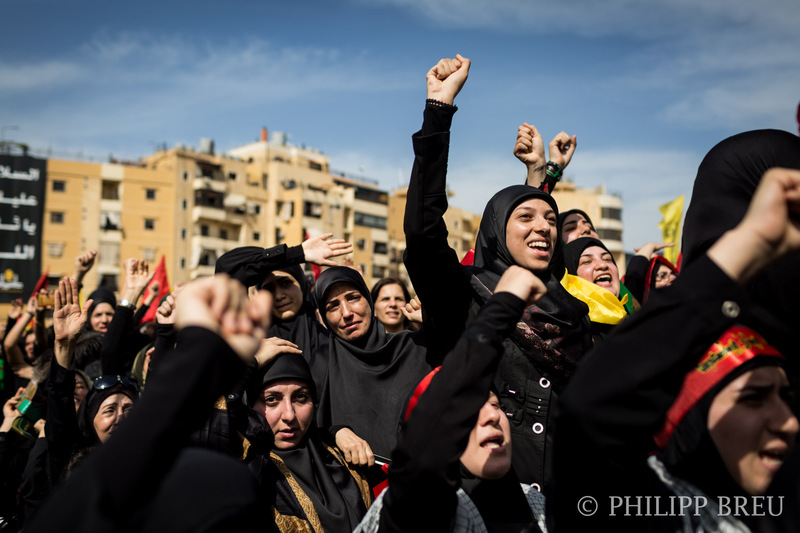 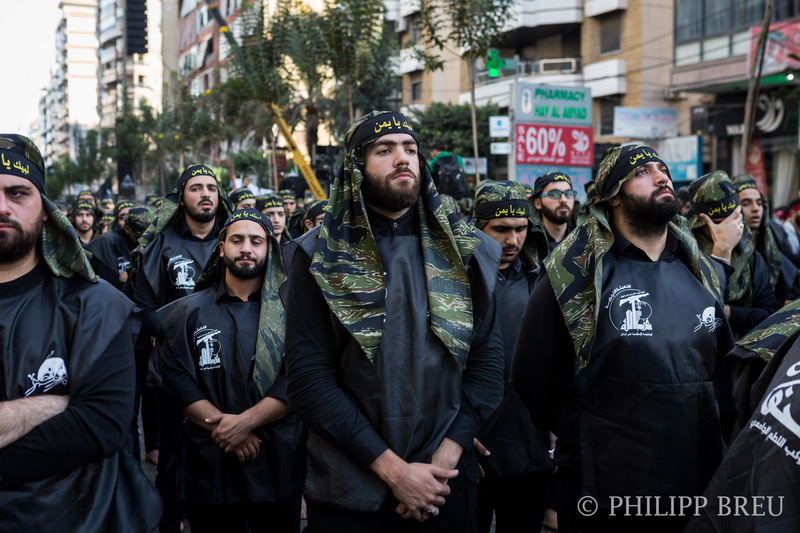 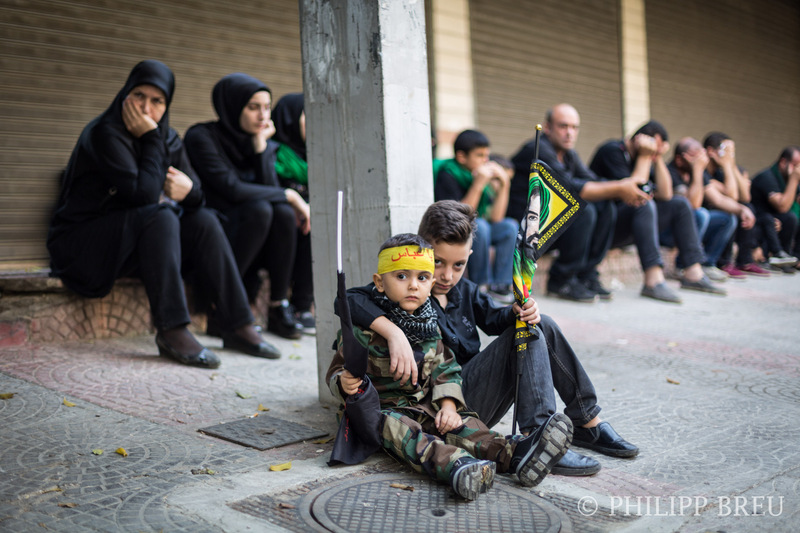 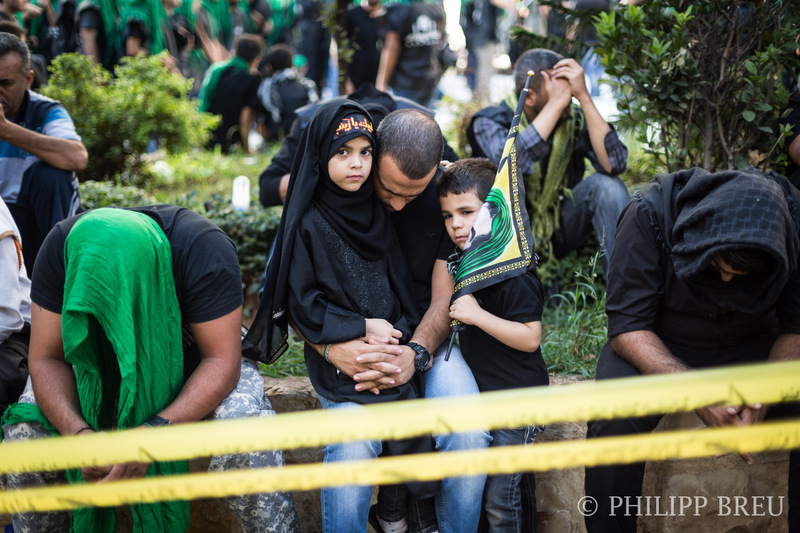 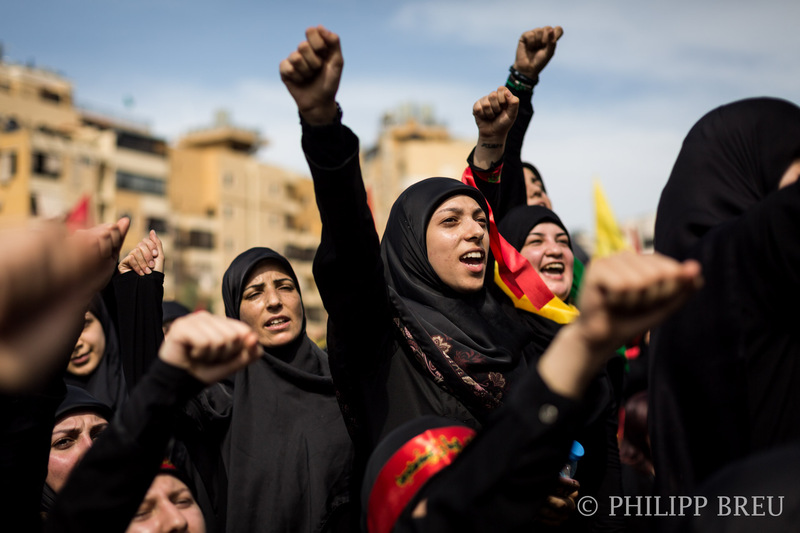 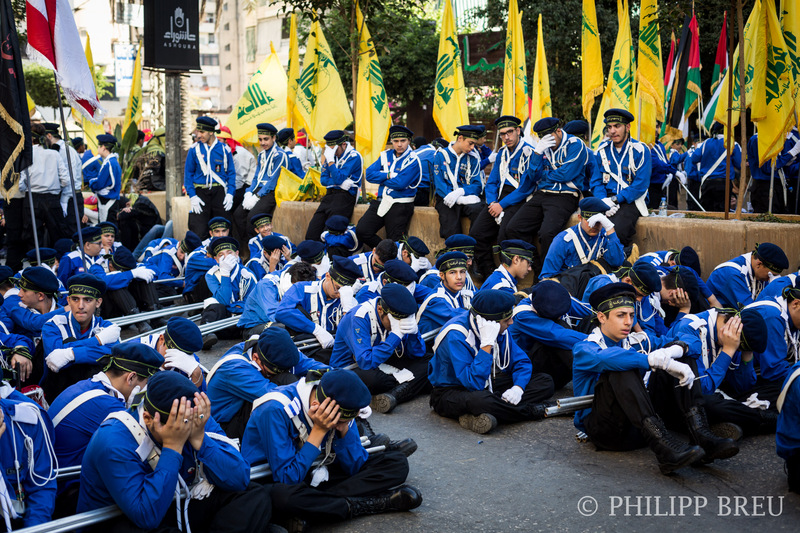 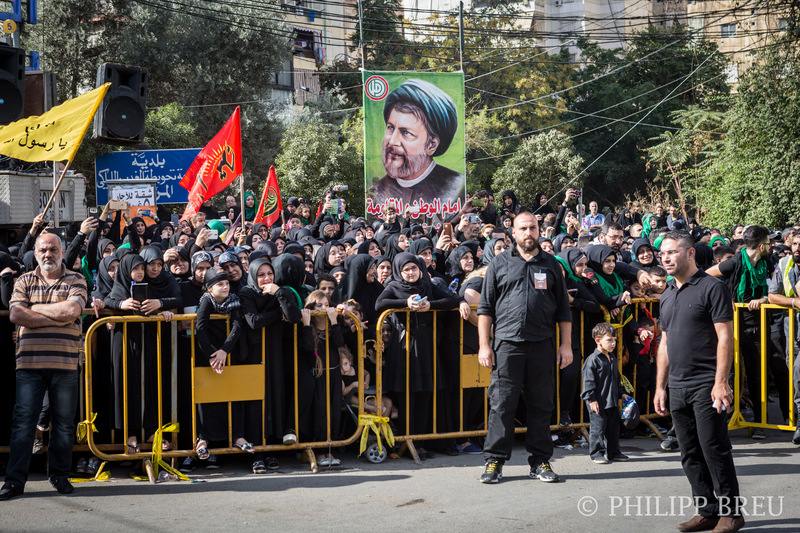 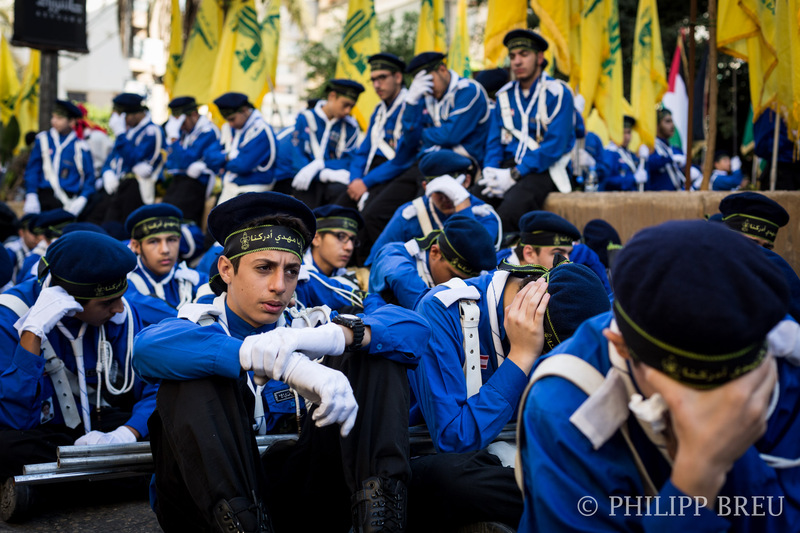 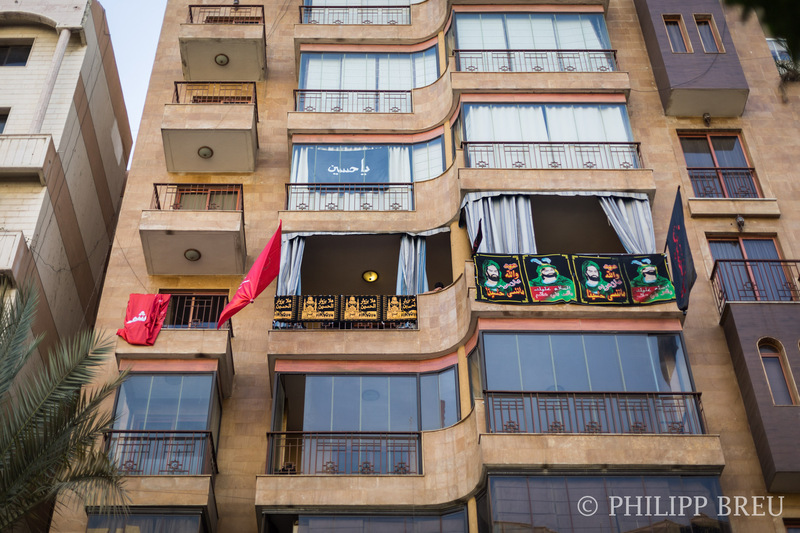 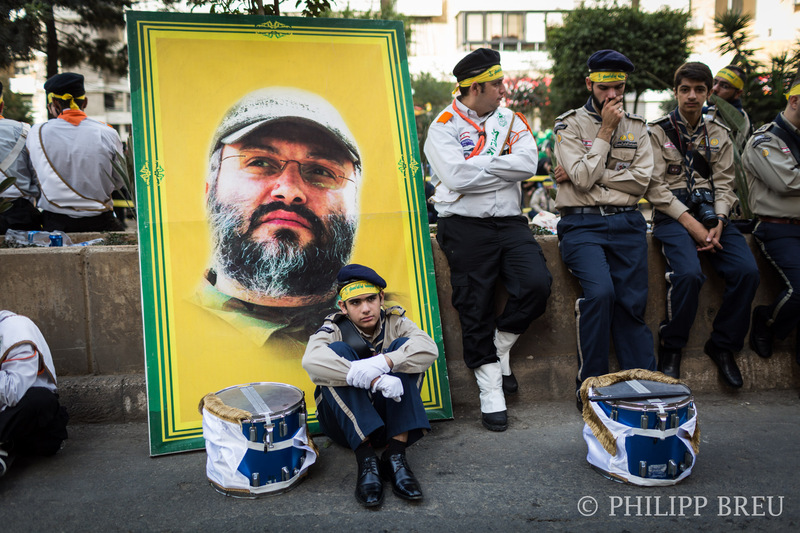 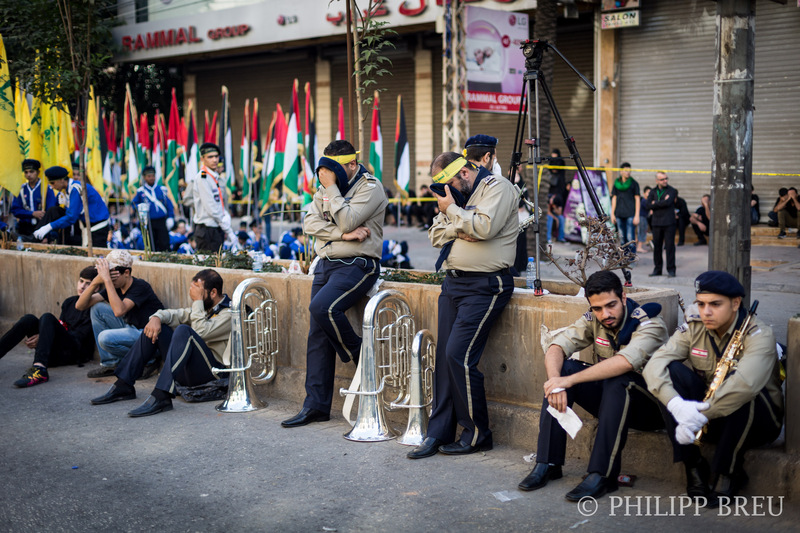 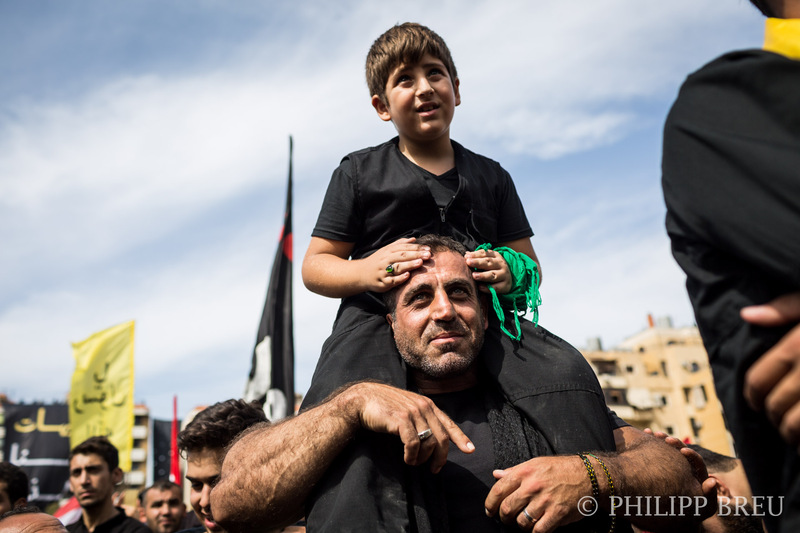 On October 12th, tens of thousands of people gathered for Ashura in Beirut, the highest holiday in Shia Islam. 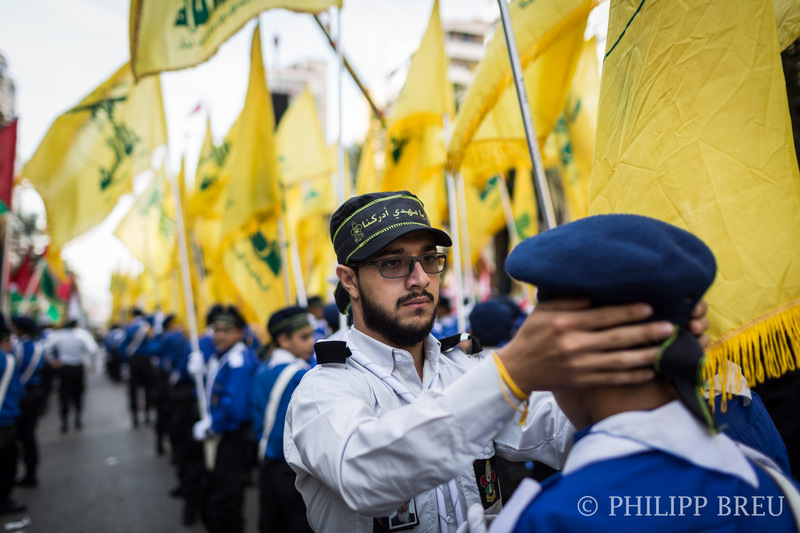 As usual, the ceremonies take place in the Shia suburbs or Beirut, where the Shia party Hezbollah, has its headquarters and strongholds. 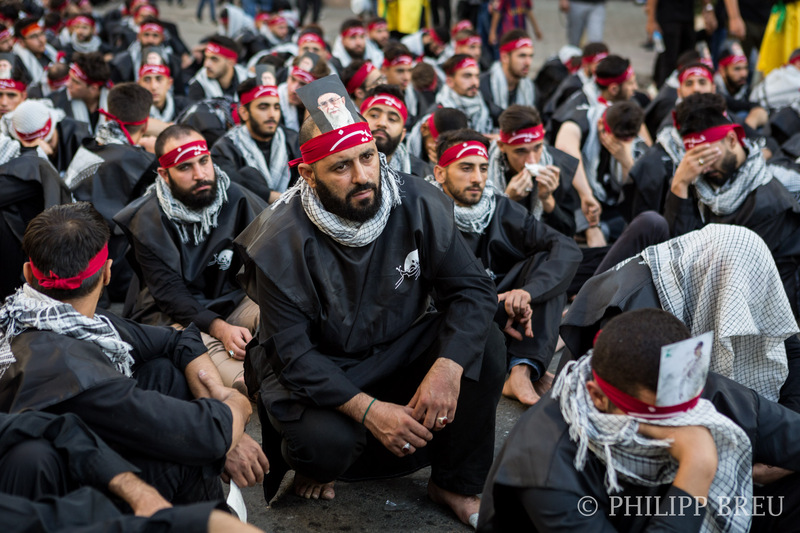 Ashura is a memorial day to remember the martyrdom of Imam Hussain, dying alongside his six month old infant son Abdallah and 72 of his followers in the battle of Kerbala on October 10th in 680. 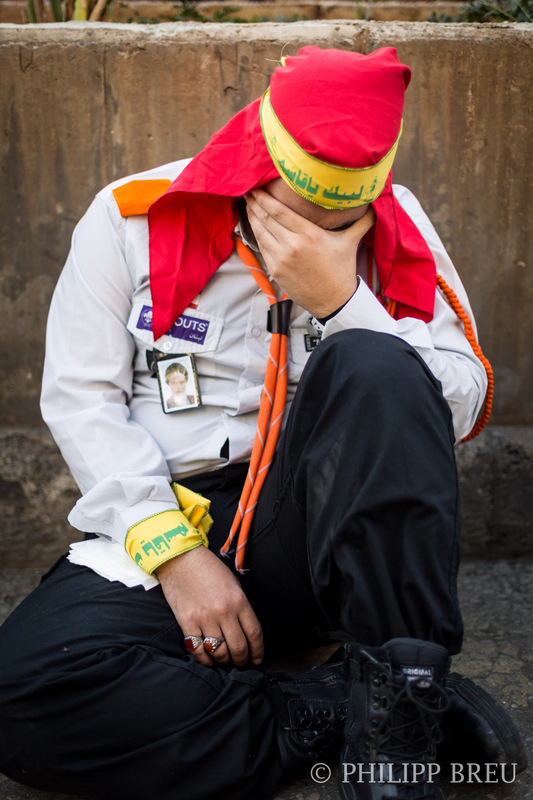 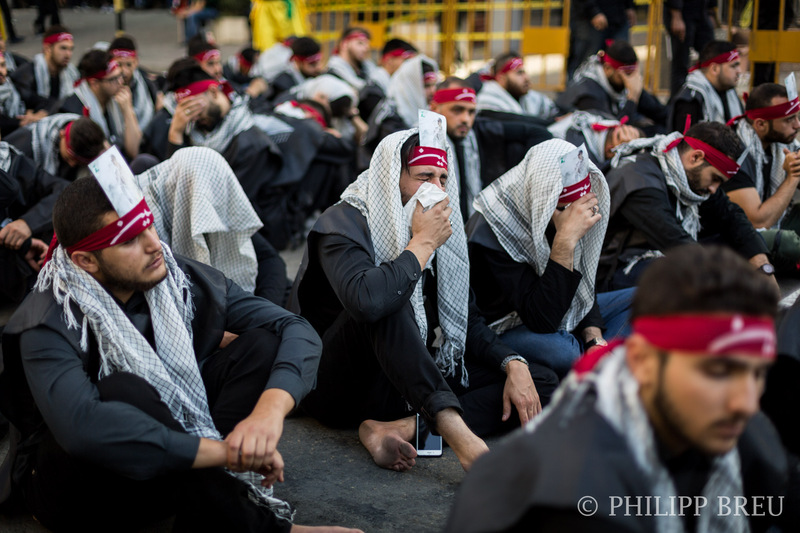 Until today, Shia muslims all over the world gather to remember and mourn this day when Sunni and Shia Islam had their final split. 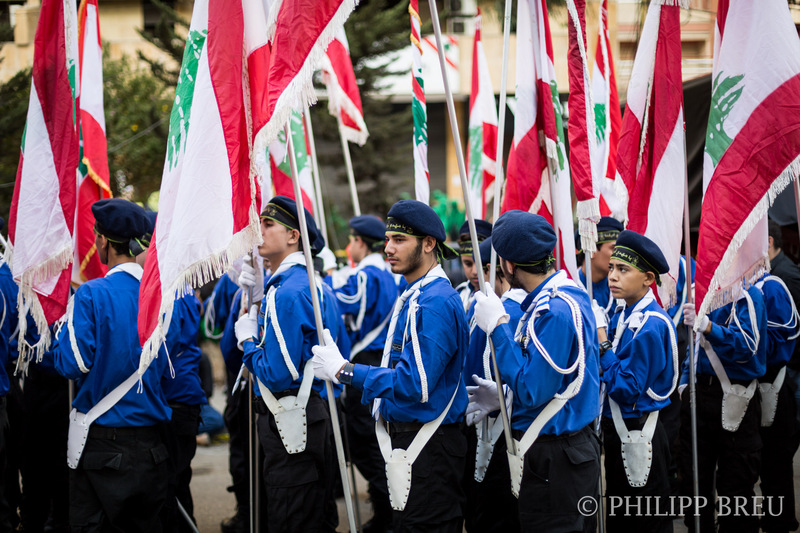 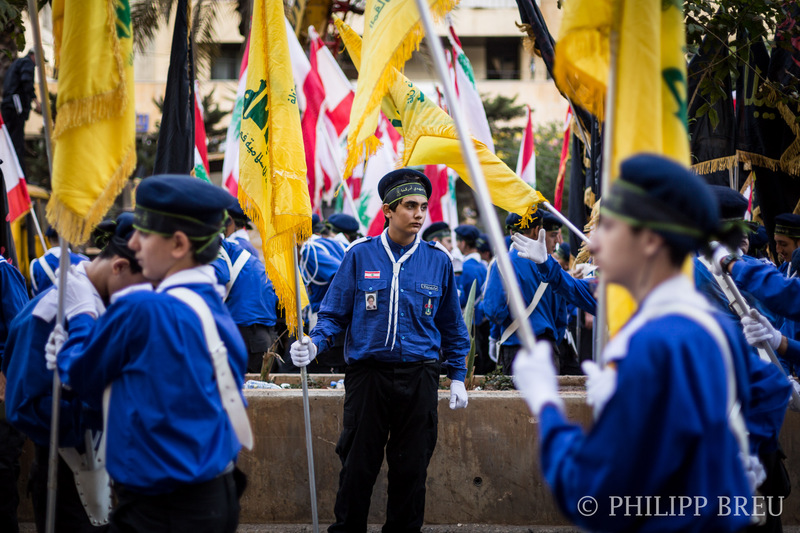 Traditionally, the rally in southern Beirut is less a religious one, but rather political. 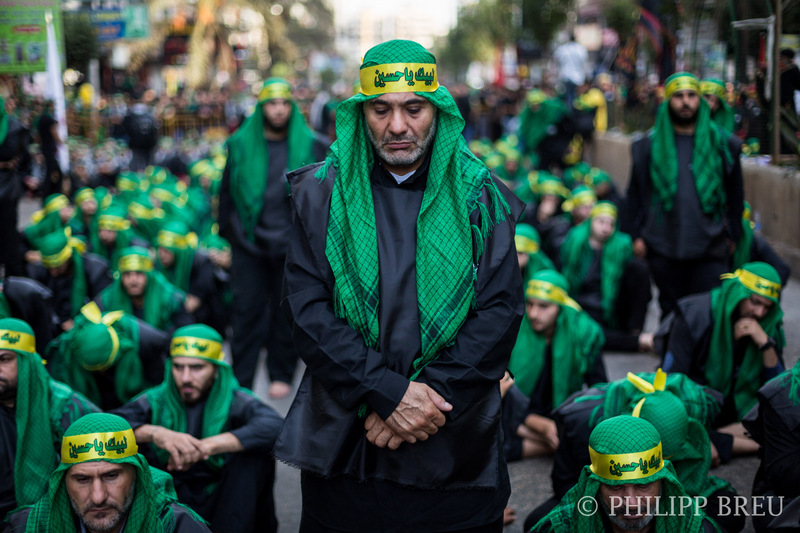 It starts early in the morning with a very long mourning speech recounting the fate of Imam Hussain to get the attendants in a mourning mood. 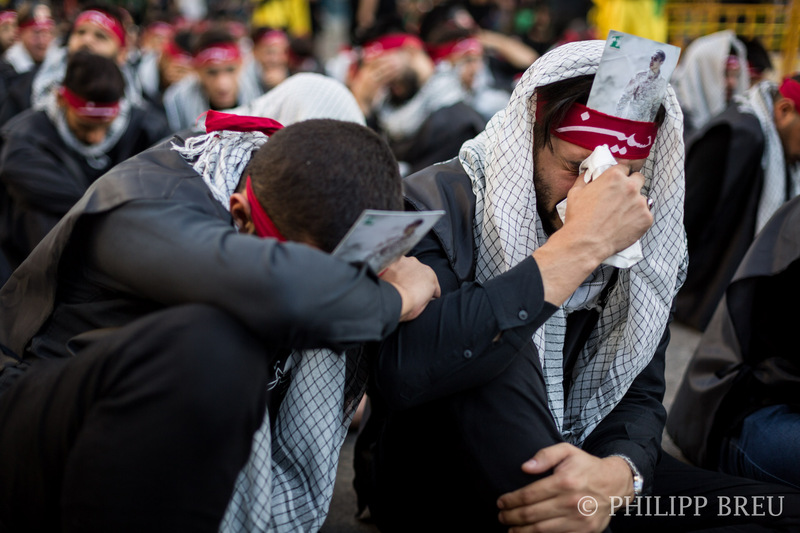 During this part, many people start to cry for Imam Hussain and his martyrdom. 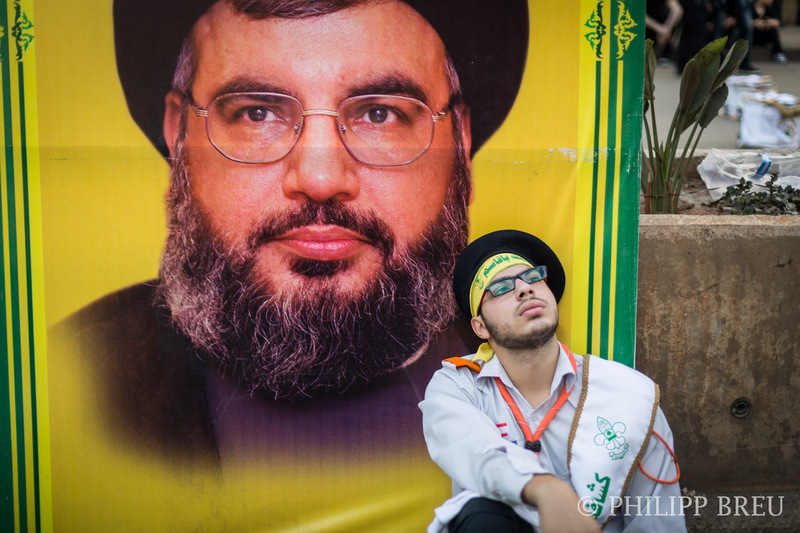 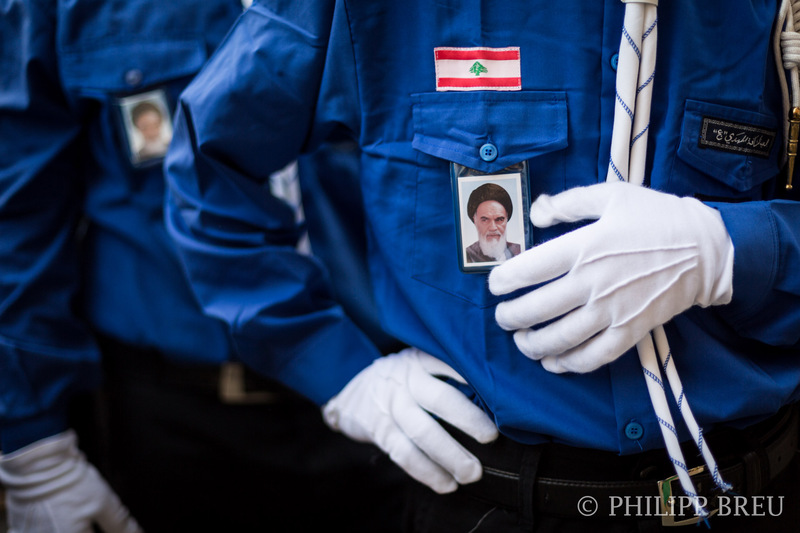 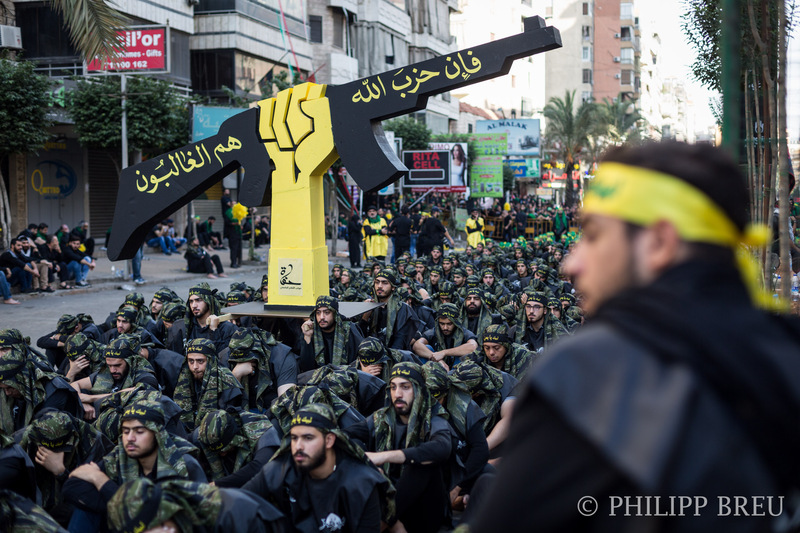 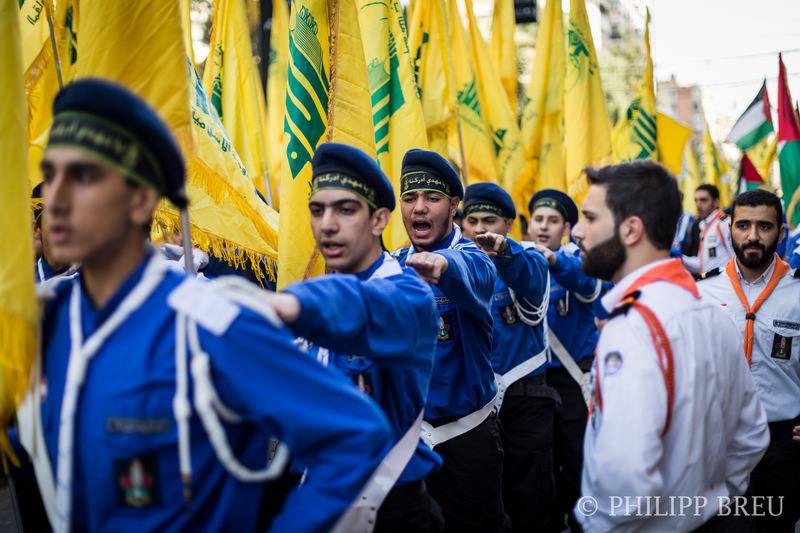 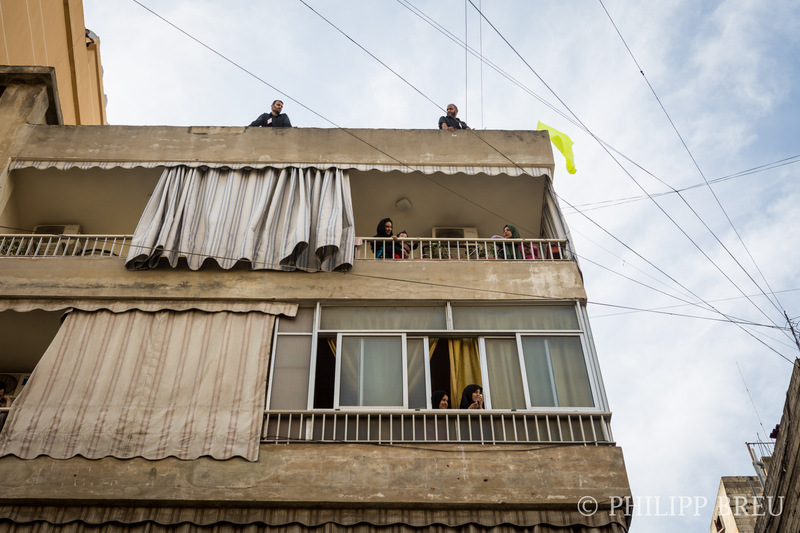 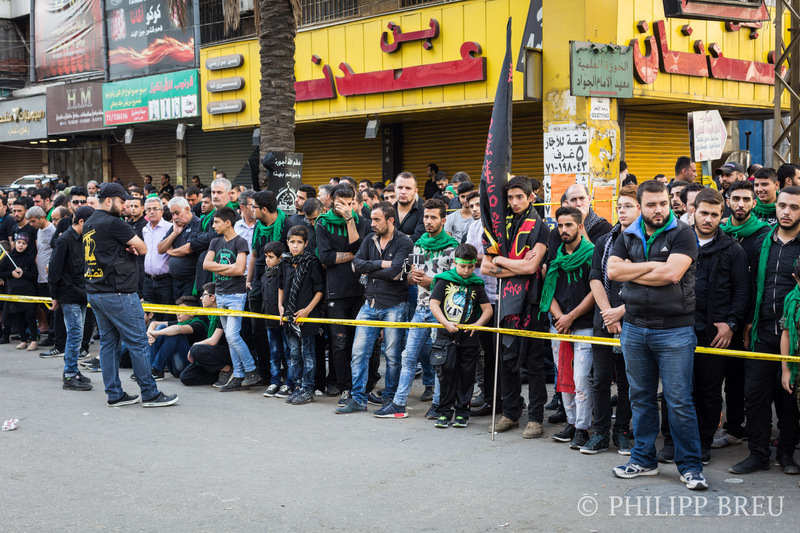 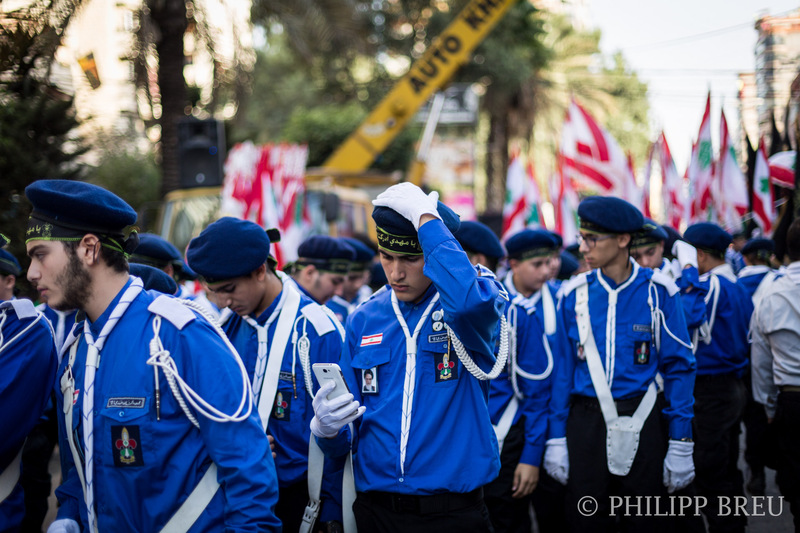 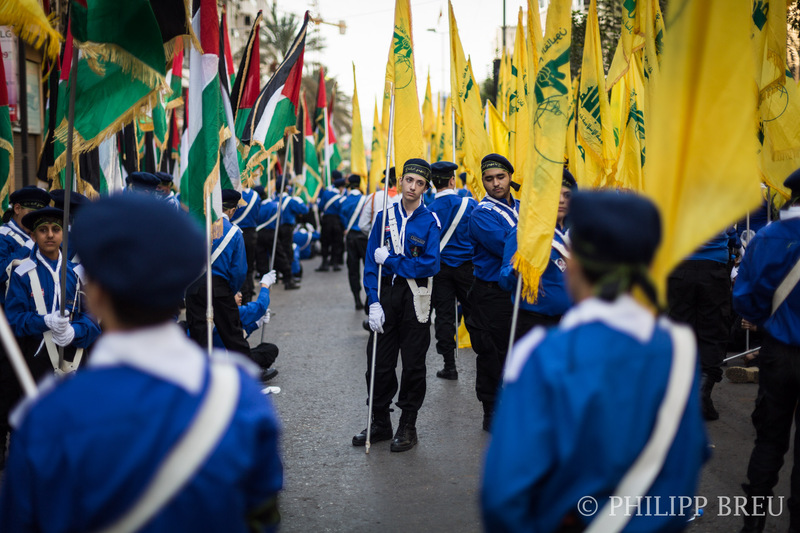 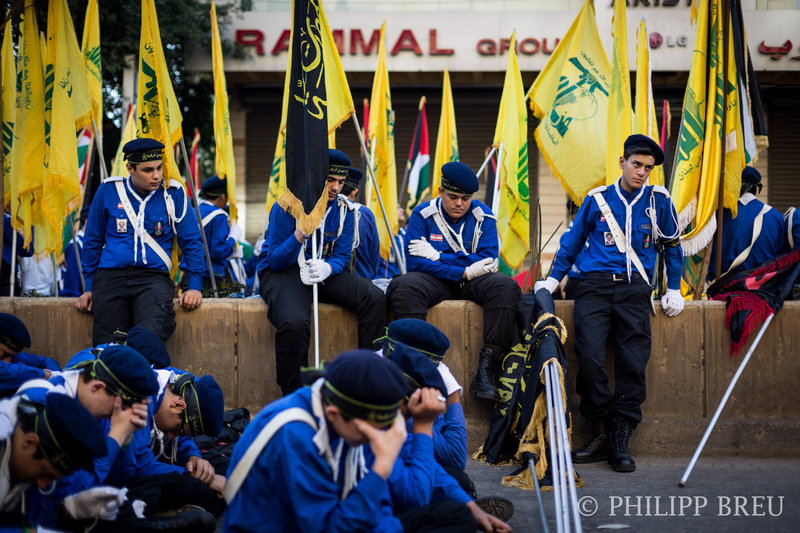 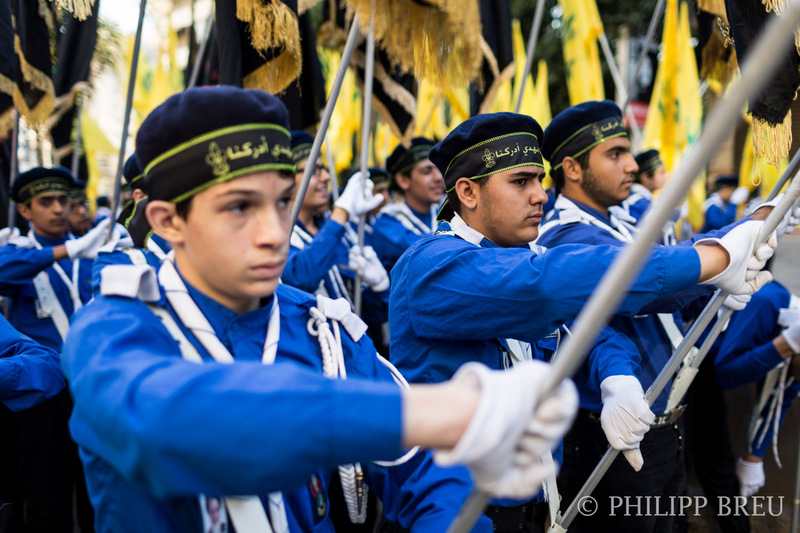 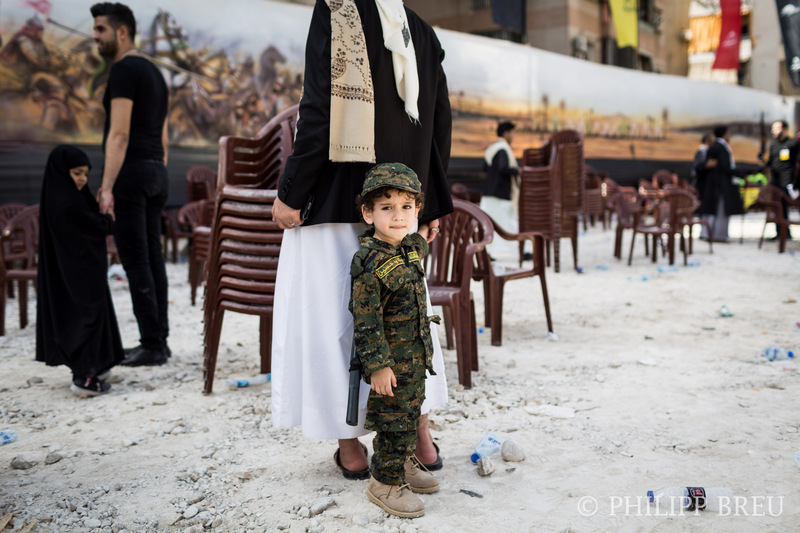 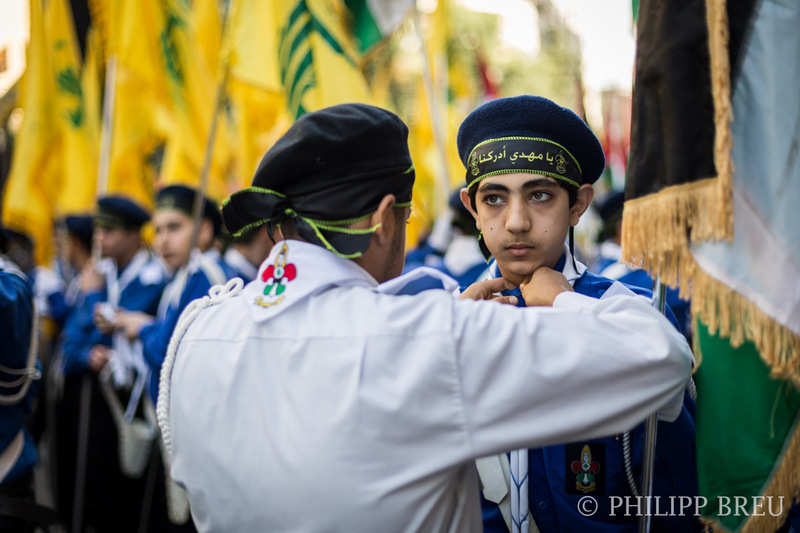 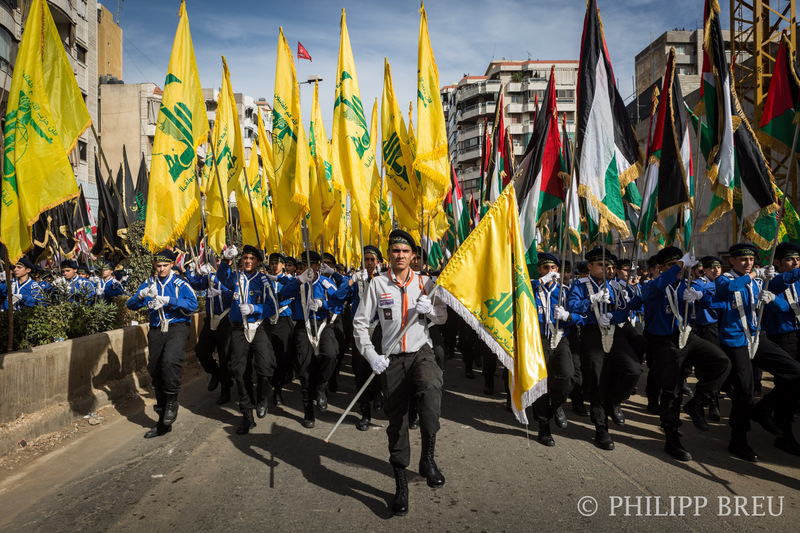 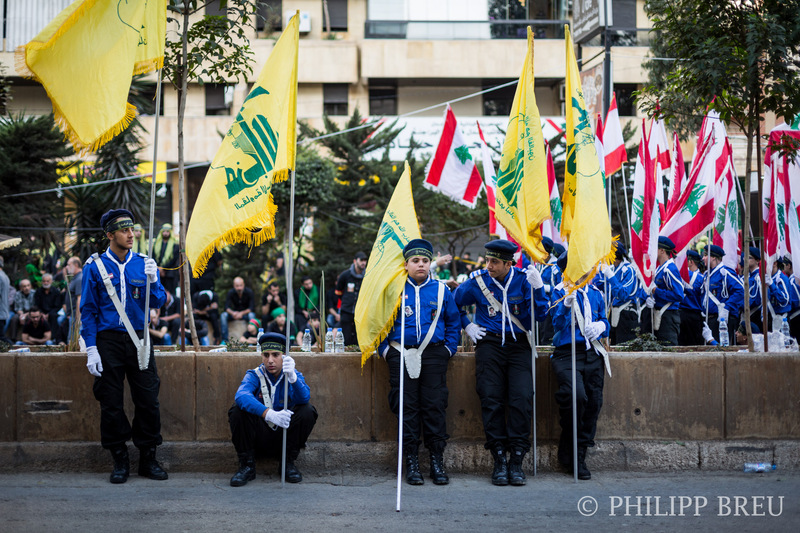 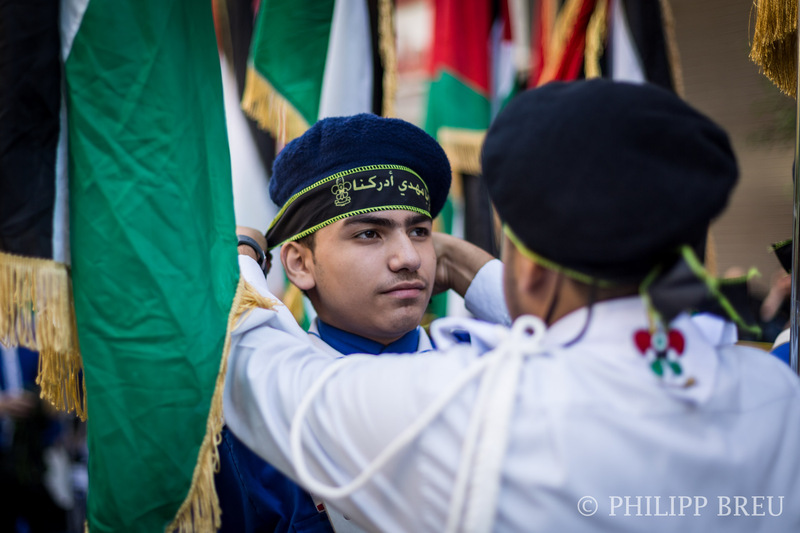 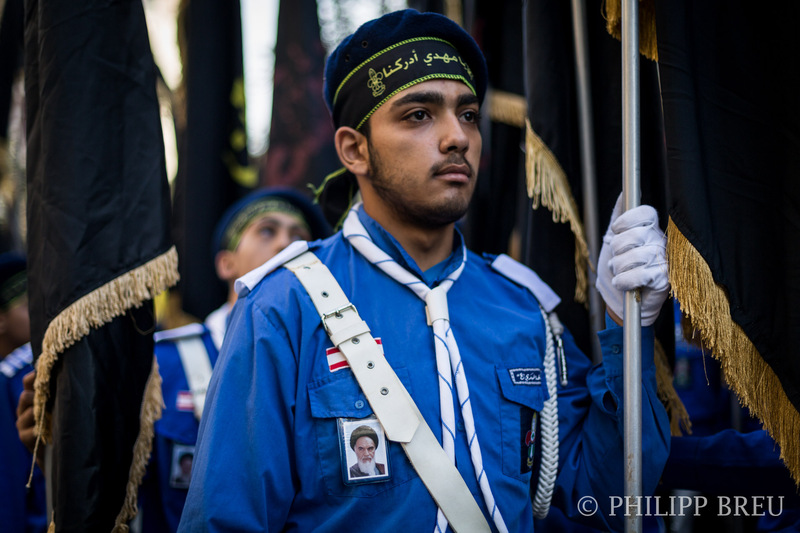 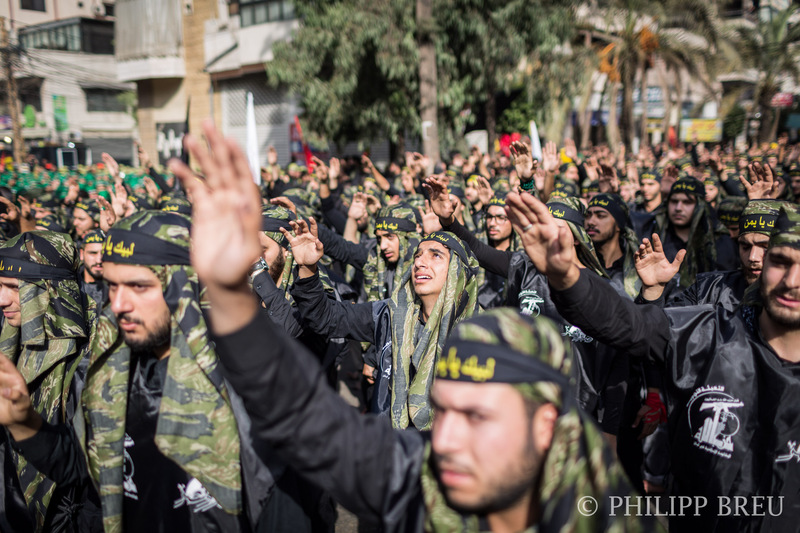 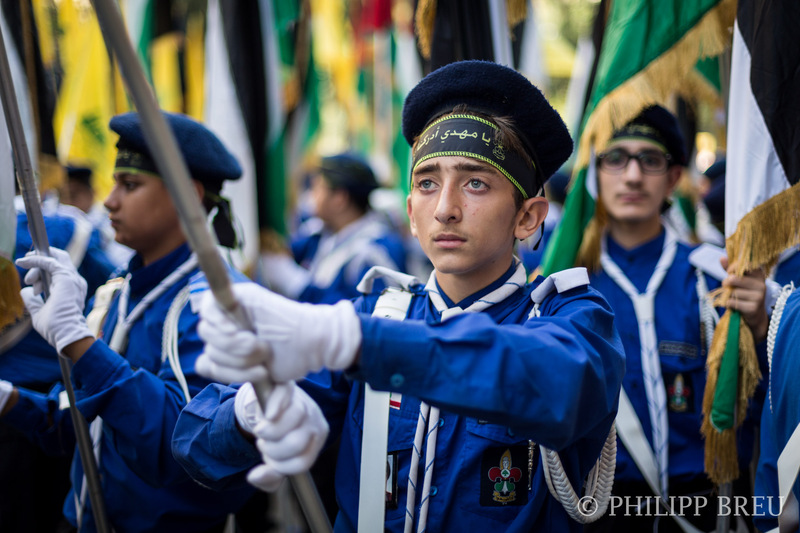 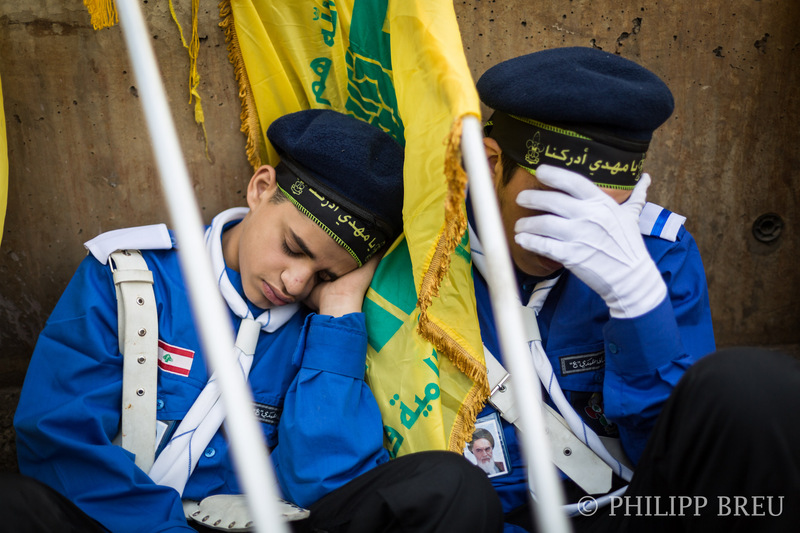 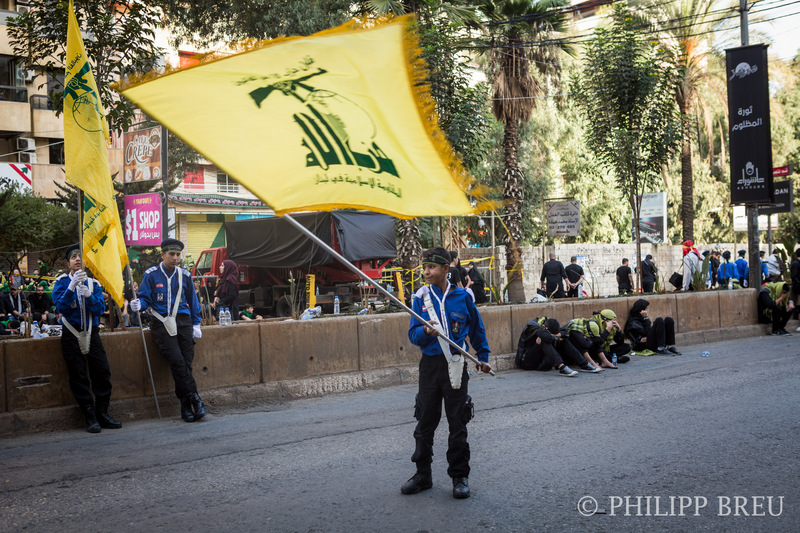 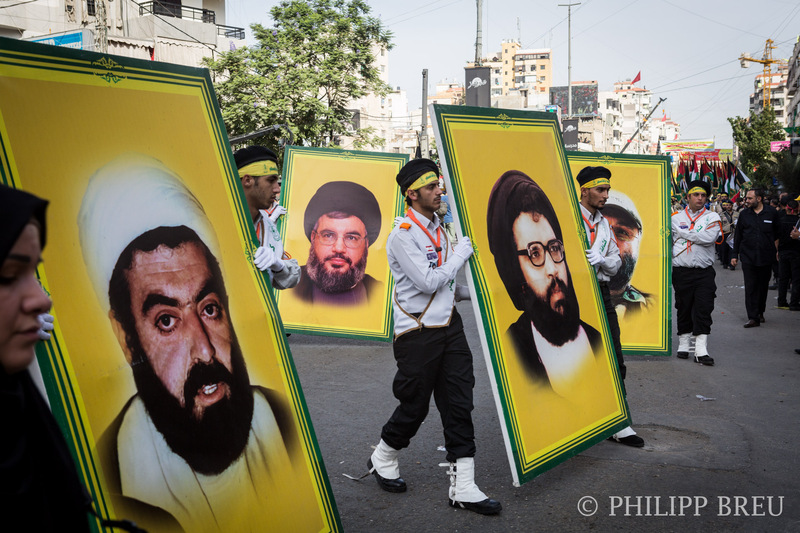 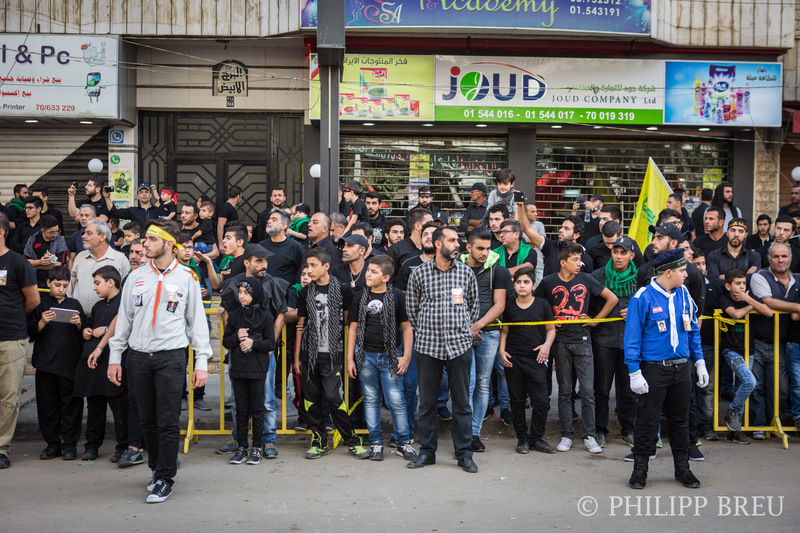 Many people from all over Lebanon are present for this event, Shia clergymen as well as Hezbollah members, their relatives, the al-Mahdi boyscouts of Hezbollah, or regular citizens. 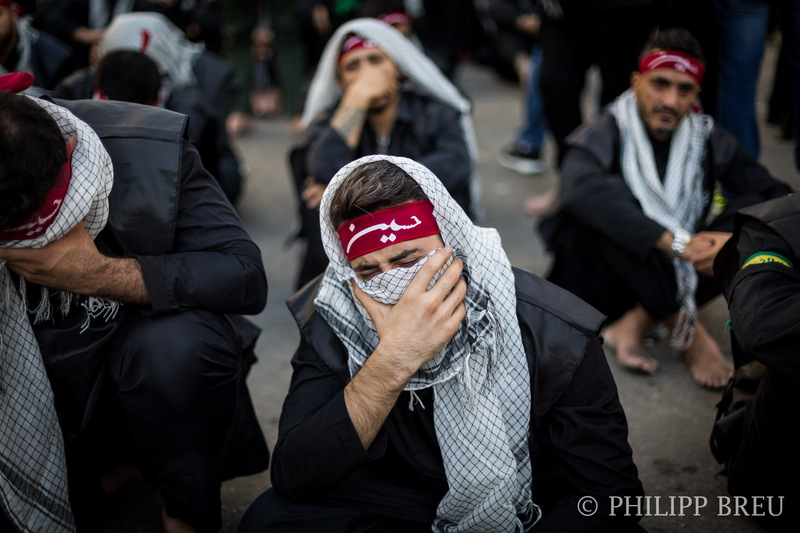 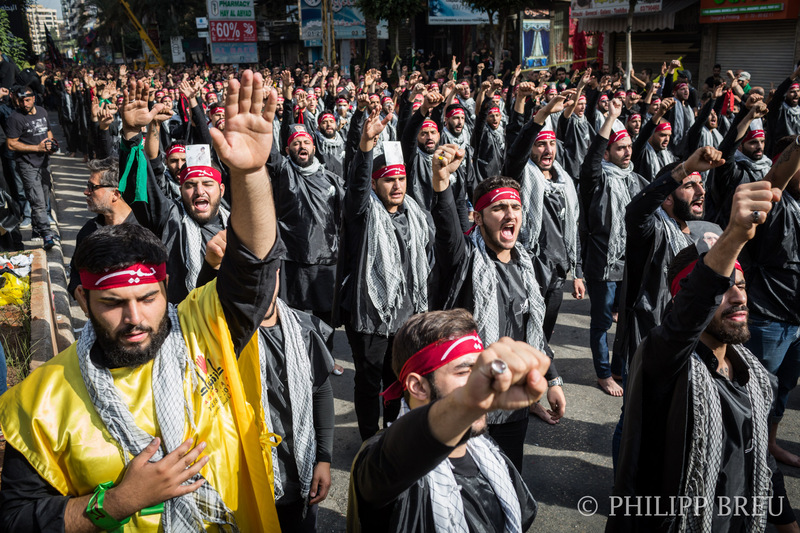 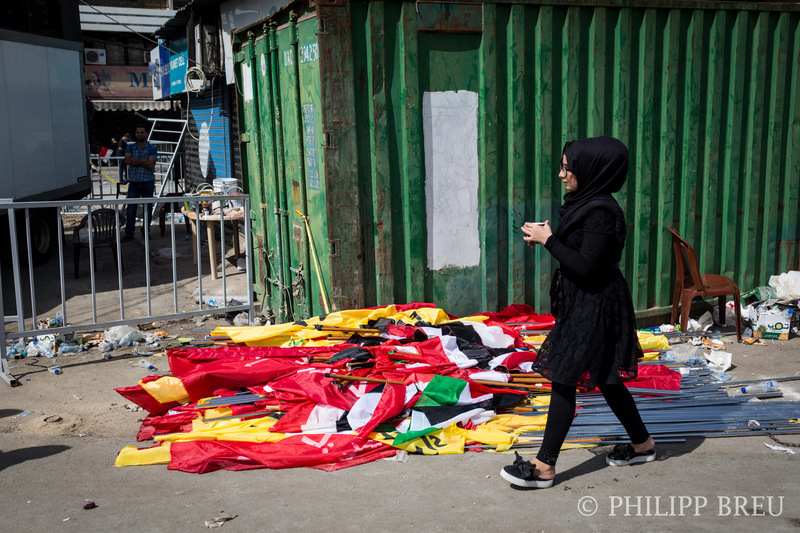 After the prayer, people start “matam”, or striking of the chest, and walk down the streets of the suburbs until they reach a very large square where a stage has been set-up to perform a political rally. 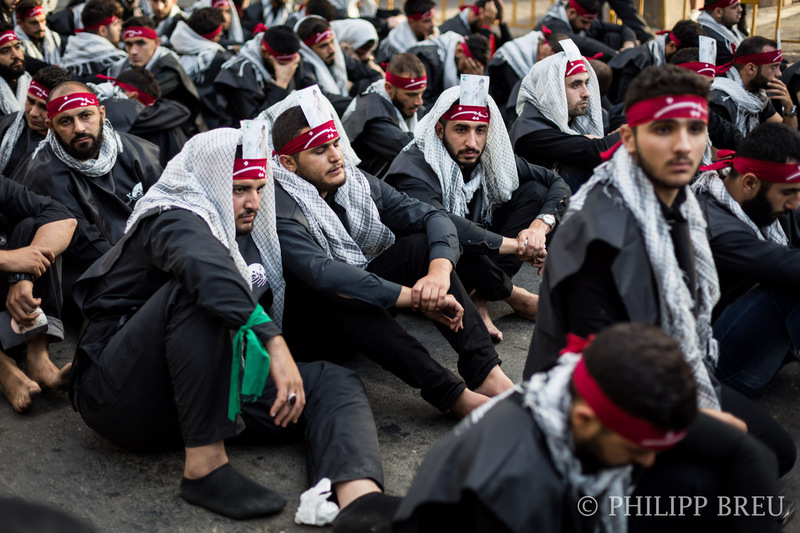 In comparison to other Ashura festivals, no “tatbir” (the self-flagellations) are being performed. 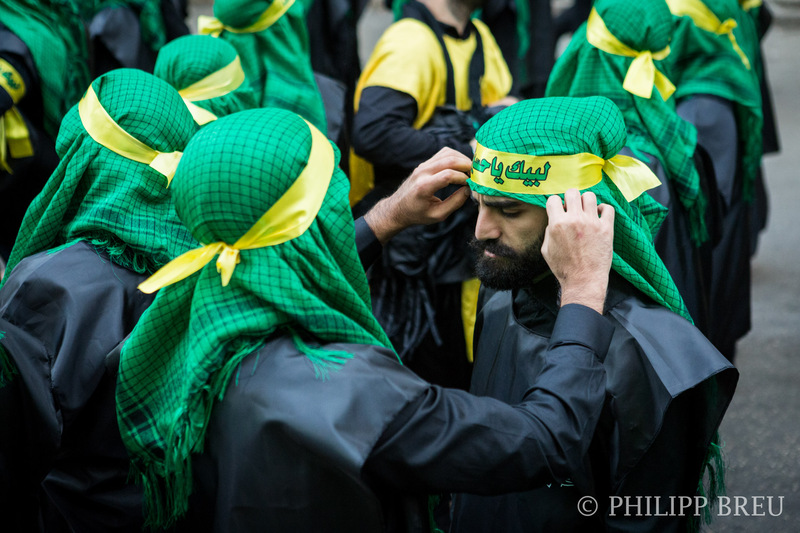 Since Hezbollah considers Ayatollahs Khomeini and Khamenei of Iran their spiritual leaders, and since they declared this performance “haram” (illegal), Hezbollah members obey this rule. 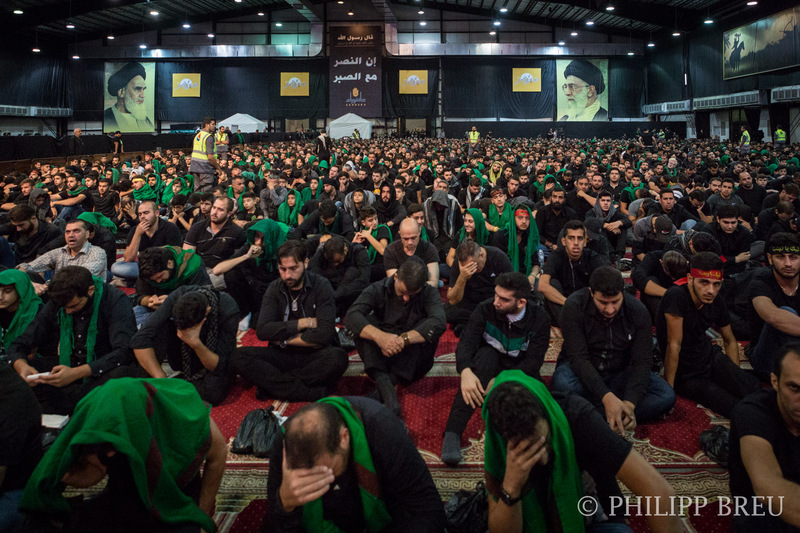 Until the tens of thousands of people reached the square, everything was perfectly organised up to this point. 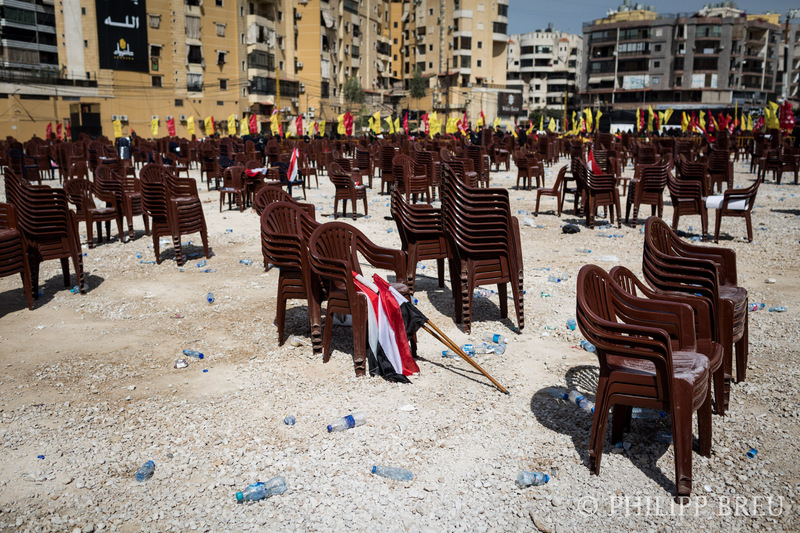 On the square itself, too many people came in too quickly, and the place was soon too crowded to move. 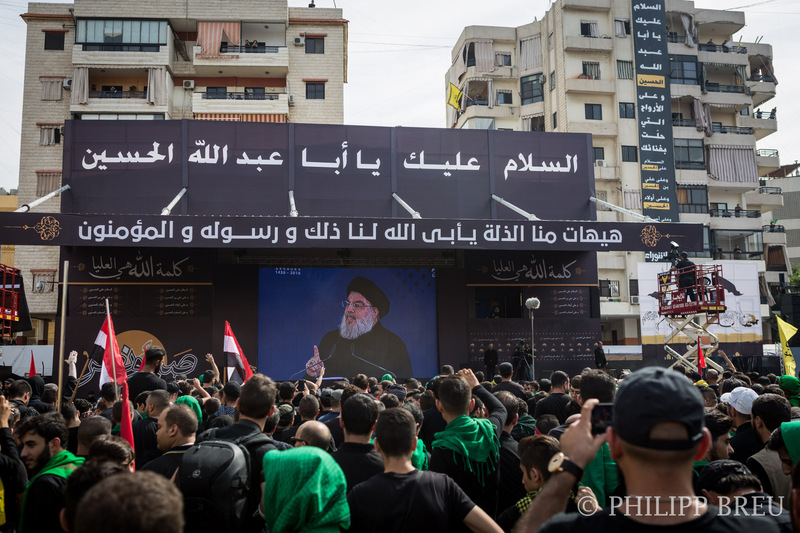 After about half an hour, Hezbollah general secretary Sayyed Hassan Nasrallah made a surprise visit to the stage and held a speech for about 45 minutes. 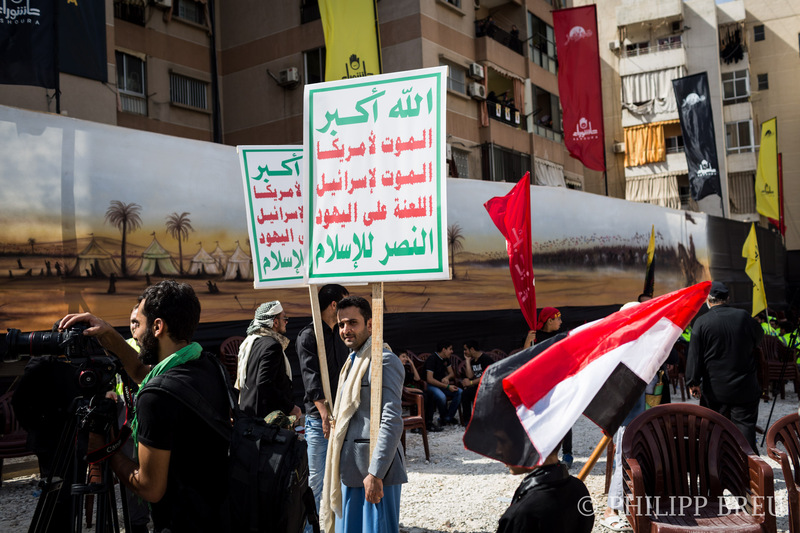 The speech was very Yemen-heavy, since Yemen holds a strong 30-40% minority of Shia muslims and a coalition led by Saudi-Arabia is engaged in a violent war with its southern neighbour. 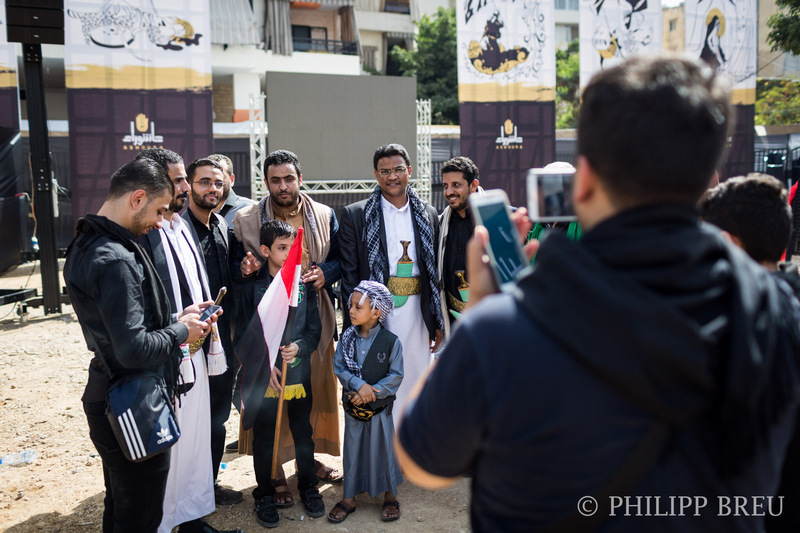 A big delegation from Yemen was invited to the stage for a minute and Lebanese people were keen to have their photo taken with them after the speech.